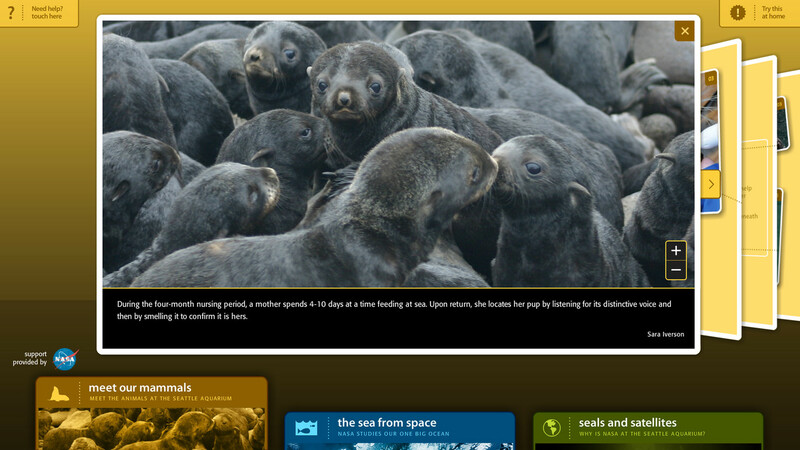 Detailed information on Northern Fur Seals. 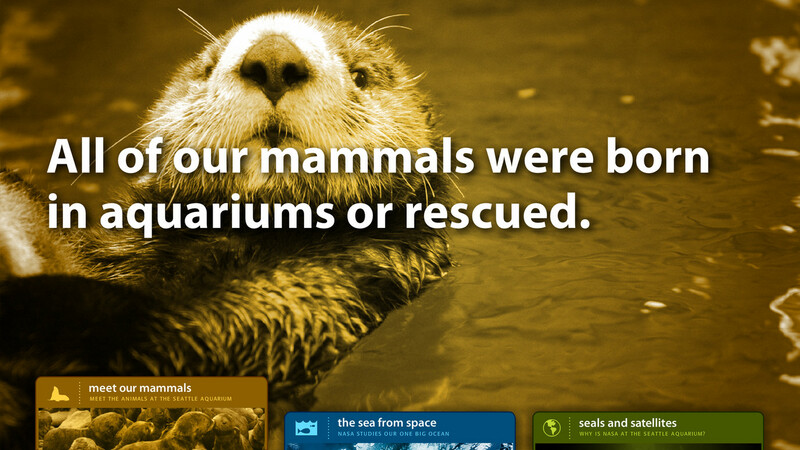 Expanded image view of seal pups. 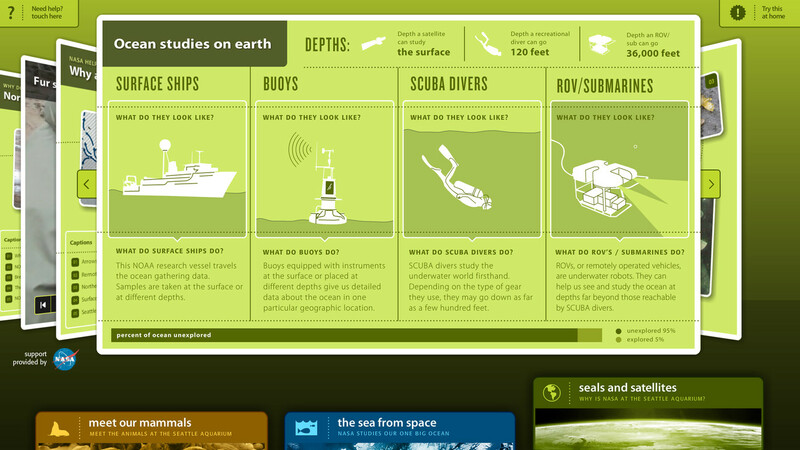 Information graphics regarding ocean studies on earth. 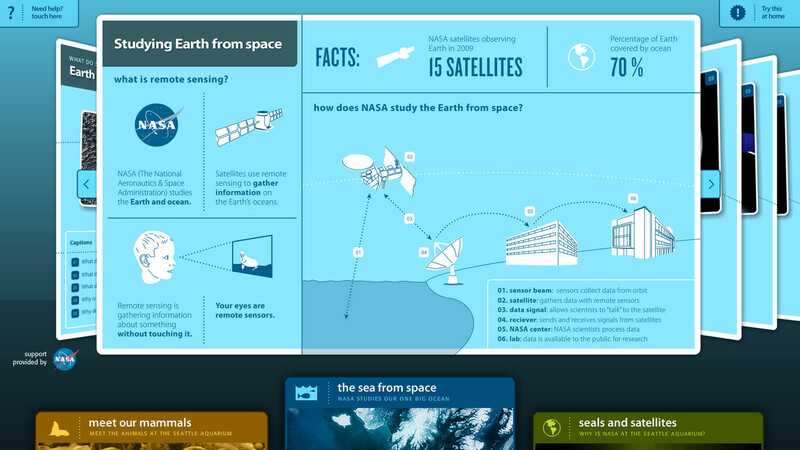 Information graphics regarding ocean studies in space. Did you know that fur seals and other animals’ migration patterns are being tracked by NASA from space using satellites? 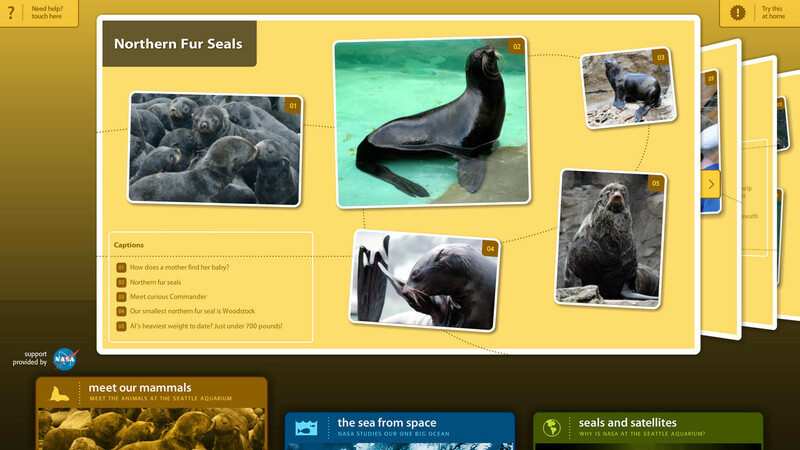 Belle & Wissell worked closely with the Seattle Aquarium to create this fun and information-rich interactive to help families visualize this important concept, with focus on the fur seals adjacent to the interactives at the Seattle Aquarium. Visitors can quickly browse animated infographics, zoom in on some of the amazing images provided by NOAA, and watch high-definition videos. 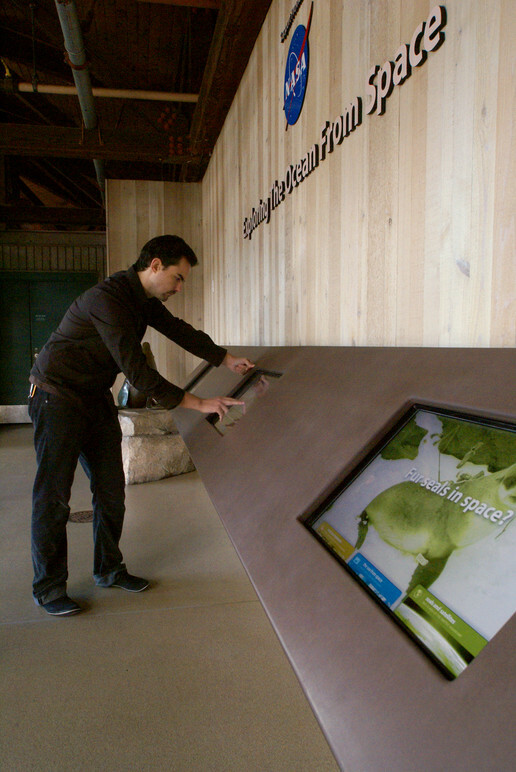 Belle & Wissell collaborated with Mithun Architects to integrate this experience into the aquarium’s fur seal tank environment–supporting the daily presentations given by the Seattle Aquarium interpretive team.